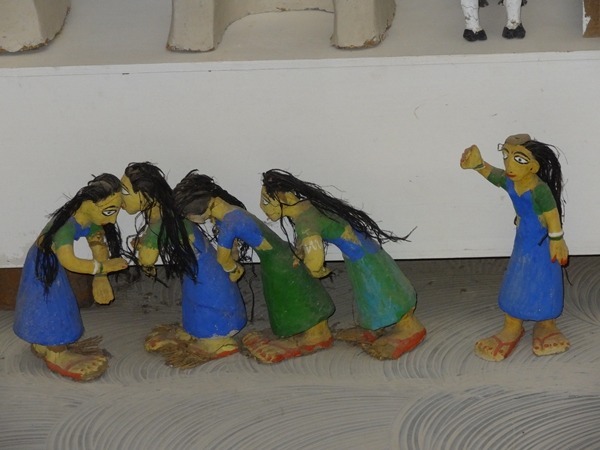 The Photo “The Group of Dolls” is taken at Madhya Pradesh Tribal Museum which is located at Shyamala Hills, Bhopal, Madhya Pradesh, India. The myth and story of evolution of mankind over the years has been shown very beautifully and naturally in this museum. In this photo, we see the group of doll which the toys for the tribal childerns. In this museum, we can know about various tribal communities like Baiga, Gond, Saharia, Kol, Korko, Bharia, Bheel etc. Each things in this museum has been displayed properly with its documentation. you can know more about it from website of it: http://mptribalmuseum.com/. Hi, I’m Ravi Shrimali from India. I’m working as PHP Developer at Ahmedabad, Gujarat. I love photography, traveling and meet new friends. Always ready for adventures.